Springtime brings flowers and flowers require pollination so..bring on the butterflies! 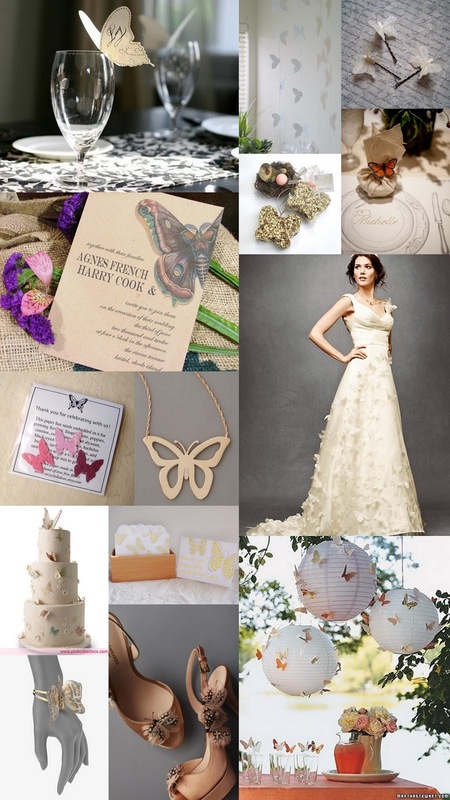 Butterflies are delicate, beautiful, perfect for a whimsical springtime garden wedding. Sure having butterflies adorn your cake and tables is making a truly feminine statement, one that your guy might not be too keen on, but we say go for it anyway and celebrate your inner girly girl! Go colorful and bright or light and muted, either way your sure to create a carefree and romantic look. My name is Flor which means flower in english. I decided to use Butterflies for my theme but Im undecided on what color I should use color - :( but at the same time I want my wedding to maintain an elegant and sophisticated look - Help!! I'm getting married in about 9 months and dont know what to do - any opinions or websites that I can take a look.